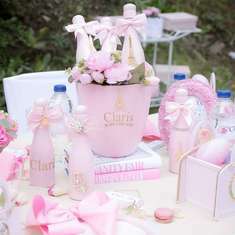 What an honor to do this party with mommy Lana for her little Leane LLama who turned 1. She wanted everything to be extra special. 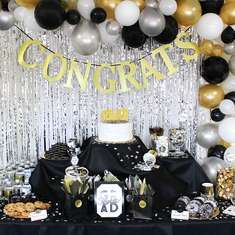 We have been planning this party for months and months. Mommy Lana wanted a picnic style setup so we had these gorgeous low tables made by Lilyputh Props. They worked perfectly with the bright and colorful cushions. 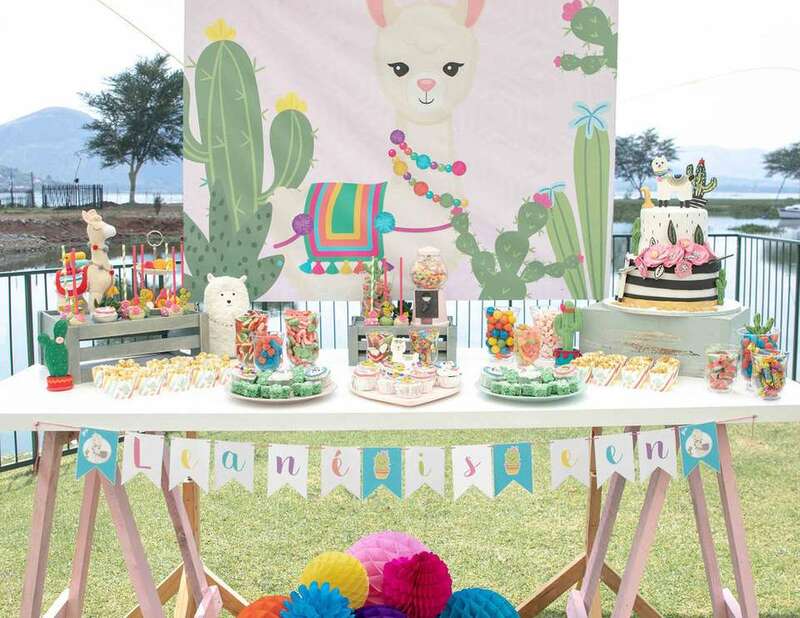 Cactuses was used for the centre pieces with the cutest LLama's bought by mommy Lana. LLama party packs with a themed milkshake and the CUTEST LLama and cacti cookies supplied by Cookies and treats by C. Little works of art. Mini cheddars in cactus boxes was the perfect little treat boxes. Candy table with a super cute backdrop designed by Wildflower.And of course bright candy, amazing cupcakes made by the Secret baker and oh my word the cakepops! Felt LLama and mini felt cactuses made by the talented Mossie. Cactus RCT and chocolate dipped meringues made by Cookies and treats by C. Teepee tent with LLama and bright tassels was the perfect little accent corner. 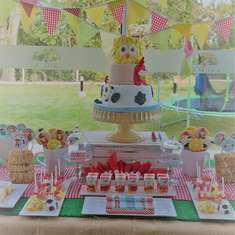 The cake was arranged by mommy and backed by Marcel from A taste of Heaven cakes. 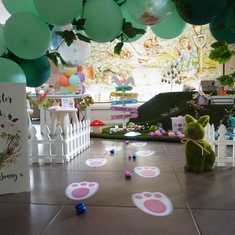 As party favors Tinkie se hekel hoekie made each little one their VERY OWN LLAMA! We made an adoption station and they each got an adoption certificate to take home with them These were absolutely AMAZING! Teresa you have amazing talent. Last but not least, thank you for the beautiful pics Anneke Schultz Photography. Amazing job as always.